Are you thinking of purchasing a wax scraper? Don’t do it until you have read this. In fact, if you buy a metal scraper it is likely that it will damage your skis. Only experienced tuners should use a metal scraper, and they use it because it is almost double as effective as a plastic scraper. A wax scraper is used to remove ski wax before starting the tuning process. There are a few different types of scrapers, where plastic scrapers and metal scrapers being the most common ones. Plastic scrapers are beneficial as they are less likely to damage your skis and create scratches. This means that as a beginner tuner you can tune the skis without being worried. It is also favorable for experienced tuners as they can use more precession when they remove the ski wax and remove parts that they otherwise wouldn’t touch with a metal scraper. 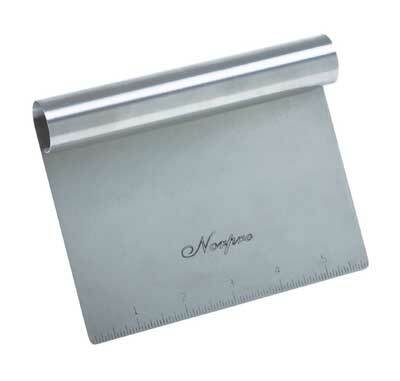 When buying a plastic scraper you would want a durable material such as titan, which is why I recommend purchasing this double edged Razor Blade Scraper. It has gotten top reviews and is very cost-effective. The benefits of a metal scraper is that it is relatively powerful and therefore takes about half of the time to get the job done compared to a plastic scraper. For more experienced ski tuners, the metal scraper could therefore be an option to add to their complete ski wax kit. Important to think of when using this type of wax scraper is to wax very gently. Pay close attention to how much wax is left. When the wax is running out you should stop scraping. Common damages from a metal wax scraper is hurting the edges and shaping them into corners, scarping too long on the same spot which makes the ptex go off or use too much force which makes the scraper go through and make a scratch. 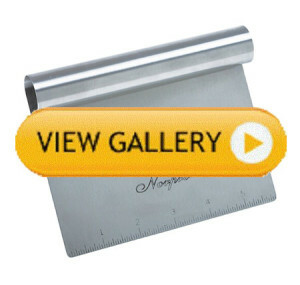 If you want to buy a metal scraper you would want a powerful metal such as stainless steel. 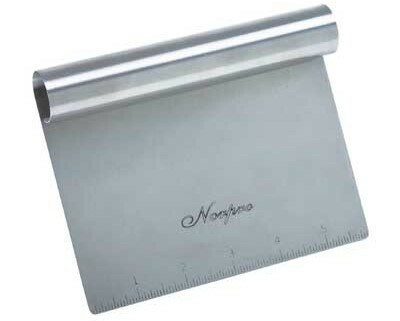 The best and very affordable wax scraper would then be Nopro’s stainless steel scraper. A common idea of professional ski tuners is to use a combination of a metal scraper and a plastic scraper. They use the Plexiglas scraper for removing the ski wax whilst hey use the metal scraper for the ptex and to remove flash from small scratches. The idea of combining them is to increase efficiency on some moments using a metal scraper but not losing the flexibility of the removing the ski wax part because of fear for damaging the skis. If you wish to buy these two scrapers for a fair price, I would recommend this scraping kit by RaceWax.